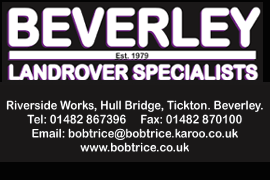 Mayor Of Beverley Martin Cox Visits Beverley Cubs | HU17.net – It’s all about Beverley! 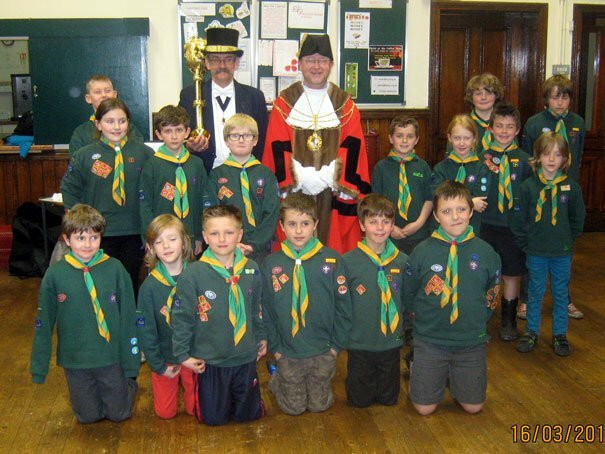 The Cubs from the 5th Beverley (Wesley) Pack welcomed some distinguished guests to their meeting last Monday; with a visit from the Mayor of Beverley, Martin Cox and the Mace Bearer. 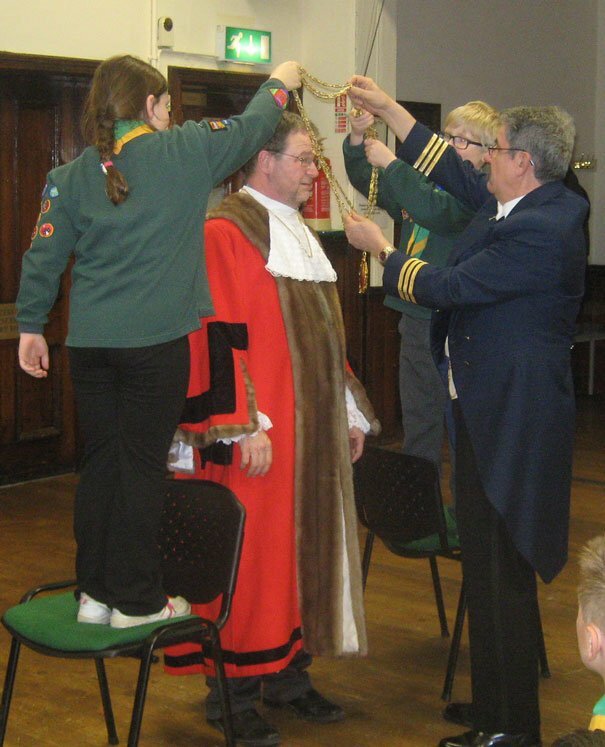 The Cubs were told about the history of the office of Mayor and also more about the job of the Mayor today. 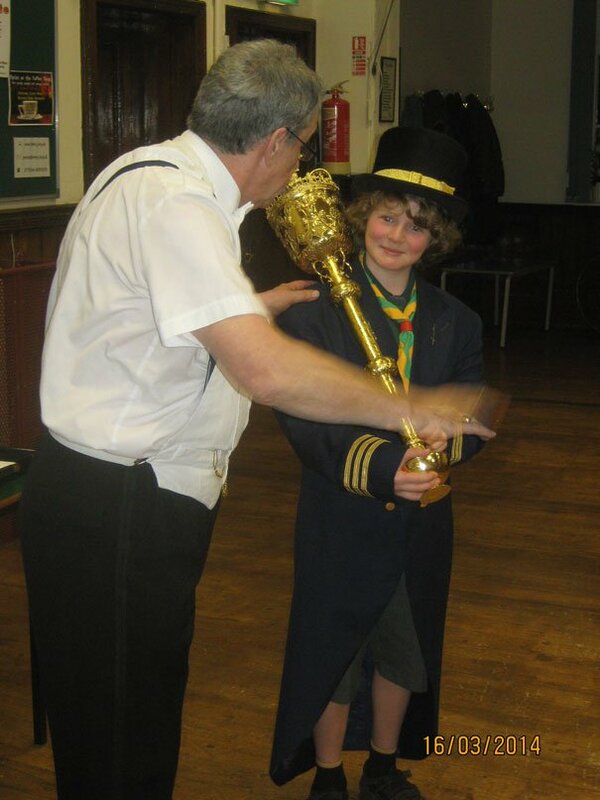 They were then allowed to help dress the Mayor and try on the Mayor’s Hat. 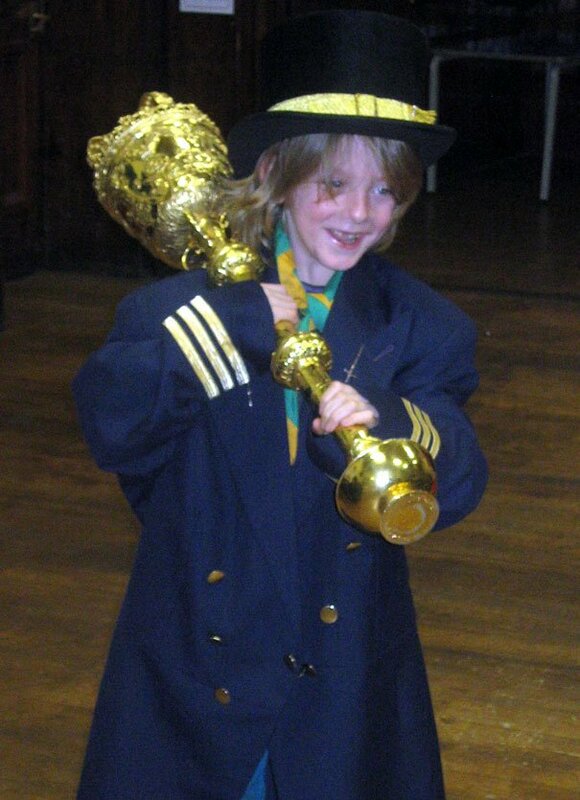 A couple of Cubs were also able to wear the Mace Bearer’s Hat and Jacket and carry the Mace. Finally, they were also given a chance to ask their own questions and quizzed the Mayor on diverse topics from when the cinema would be built in the town to the mayor’s favourite part of the town and the football team he supported.